The government is happy with the agreement reached by the Eurogroup, Finance Minister Euclid Tsakalotos said from Luxembourg following the Eurogroup that approved Greece’s final review and debt relief measures early on Friday. Tsakalotos added that the immediate gain for Greece was the extension of the loan repayment maturity period by ten years and the cash buffer. “Development will not be for the few but for the many, and this is the promise of the Greek government,” Tsakalotos said. “A new day dawns for the Greek people, the era of loan memoranda is over,” National Defence Minister Panos Kammenos said early on Friday in a tweet. The Eurogroup congratulated the Greek government and the Greek people for the successful conclusion of the ESM program and noted the importance of continuing the reforms. The implementation of an ambitious growth strategy and of prudent fiscal policies will be the key ingredients for debt sustainability, it said, and added that the enhanced surveillance procedure would be activated by the European Commission “in the coming weeks”. 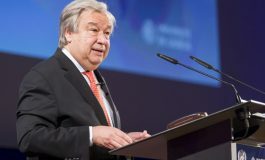 The Greek debt is sustainable going forward, Eurogroup President Mario Centeno said at a press conference following the group’s marathon meeting in Luxembourg that began on Thursday afternoon and ended early on Friday. Centeno hailed the agreement and noted that Greece has fulfilled all 88 prior actions necessary for the completion of its fourth and final program review. 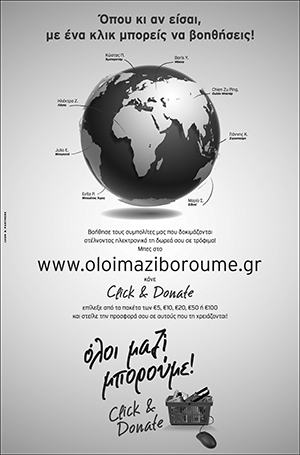 He said that in total, Greece implemented over 450 reforms, many of which were painful to the Greek people. According to Centeno, the 10-year extension on the repayment period for EFSF loans, and the 10-year grace period, will allow Greece to return to the markets successfully. “This is an exceptional, a historic moment,” European Finance Commissioner Pierre Moscovici said in Luxembourg early on Friday, at a press conference hailing Eurogroup agreement on Greece’s adjustment program following a marathon session. 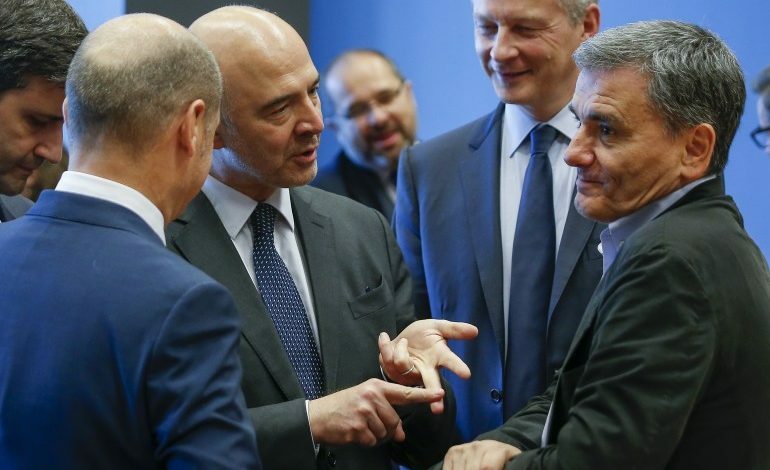 Moscovici said that the decision on the program was a result of Greece’s assumption of responsibility and the Eurozone’s solidarity. He recognized the sacrifices of the Greek people, but said they were necessary. The package of measures on debt sustainability is credible and will prove effective, because it will be accepted by the markets, he asserted. Moscovici said there would be no new program for Greece, but enhanced surveillance, as foreseen by the European laws. Europrean Stability Mechanism (ESM) Managing Director Klaus Regling called the Eurogroup agreement on Greece “a historic moment” for Greece and the Eurozone, at a press conference following the Eurogroup meeting in Luxembourg early on Friday morning. Regling noted that the Eurozone had lived through critical times, and he hailed the solidarity shown to Greece. “It is the biggest solidarity the world has ever seen,” he said. European Commission President Jean-Claude Juncker welcomed the Eurogroup agreement on Greece’s last loan tranche and debt relief measures early on Friday, through Twitter. 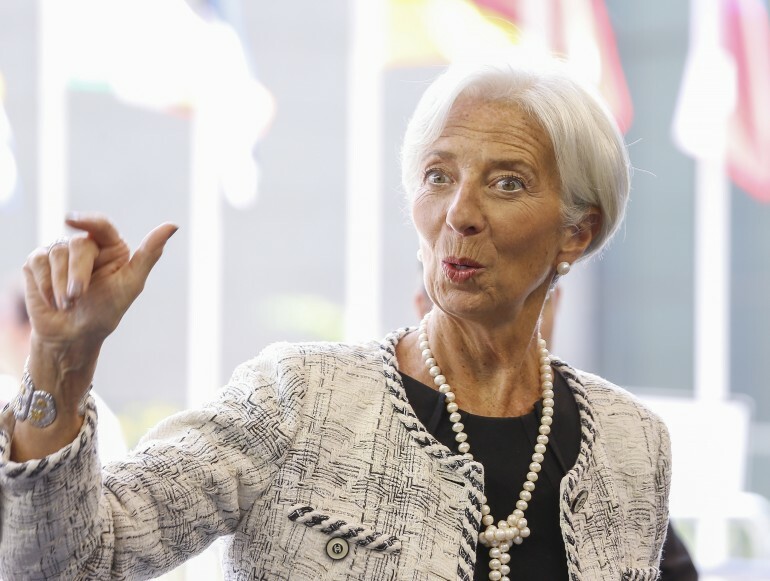 IFM Managing Director Christine Lagarde said at a press conference following the Eurogroup early on Friday that she shares the sense of European officials that the agreement on Greece’s program is a historic moment. 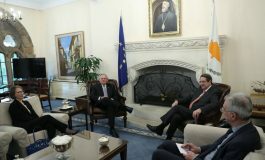 “We commend Greece and its European partners on the completion of the fourth and final review under the European Stability Mechanism (ESM) program. The additional debt relief measures announced today will mitigate Greece’s medium-term refinancing risks and improve its medium-term debt prospects, both of which are very welcome results. This will be good for Greece and good for the euro area. “We also take note of the commitment by Greece’s European partners to keep debt sustainability under review and to take additional debt relief measures if needed. This would provide important safeguards if the more optimistic long-run macroeconomic assumptions of the European institutions were not realized. “We will examine the sustainability of Greece’s debt in the course of our upcoming Article IV Consultation with Greece, which starts next week.